Click the tabs for more information on what to include, who to choose and where to send the boxes. 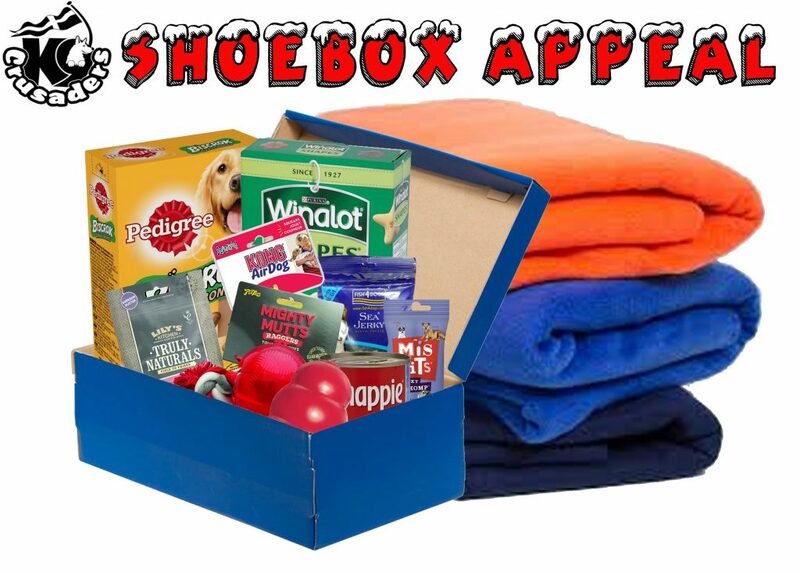 Thanks to our well supported appeals in years past, we are again running our ‘Box for a Dog’ collection for this Christmas. Simply choose your dog from the Recipients Gallery, fill a box, drop it off and feel great for helping a dog have a Merry Christmas. Please no rawhide or pigs ears as the dogs can choke on these. You can select one dog in particular if you wish or simply donate one item to go into a box or a large box of treats to share out, the choice is yours. or brought to any of our Events before xmas.